Optic shown in images not included. 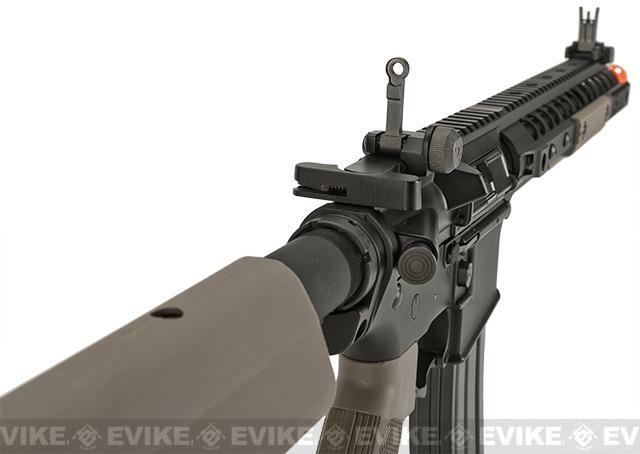 The Evike Epic Bonus Program is to reward you, our awesome customers, for shopping with us! Purchase of this item will qualify you for a free gift of your choice. ONLINE PURCHASES ONLY! 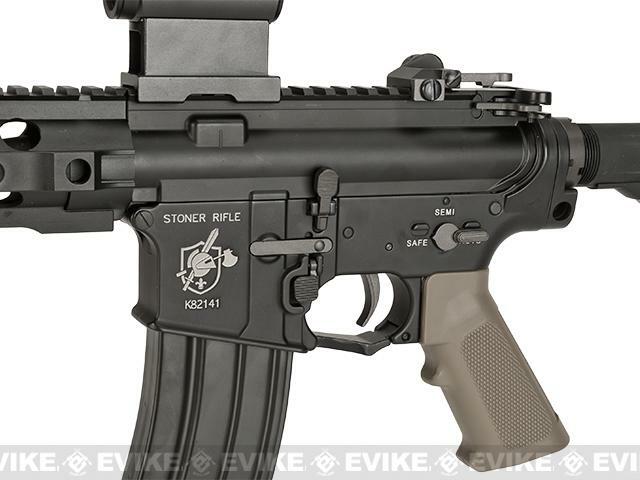 This gun has a muzzle velocity rating (FPS) between 366 and 500, and is compliant for export to Canada. 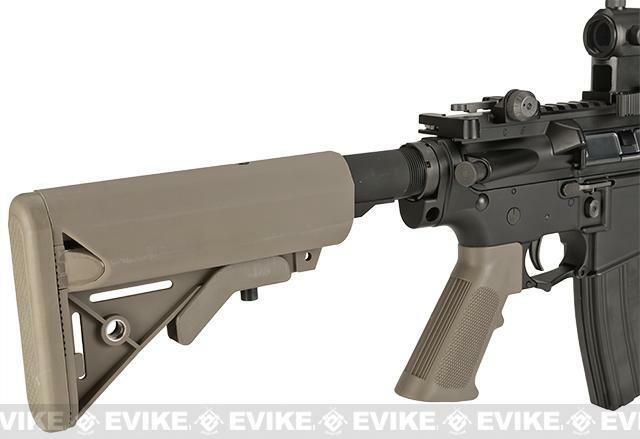 Optic shown in images not included.BOLT Airsoft brings the realism of recoil feedback to the AEG market through their patent pending Bolt Recoil Shock System (BRSS for short). The BRSS design provides an extremely authentic kick providing the user with extremely realistic feedback. 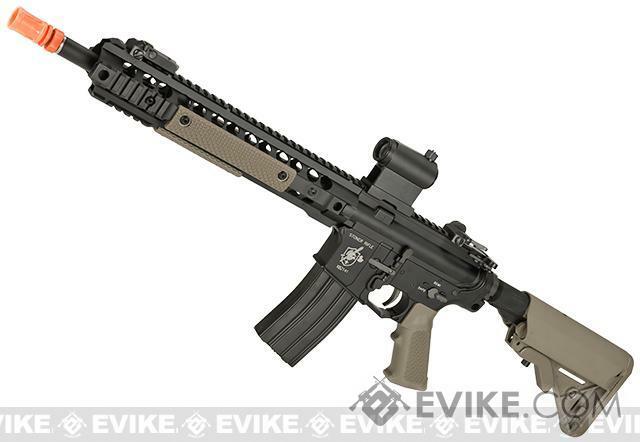 The BRSS design rivals many Gas Blowback rifles currently available. 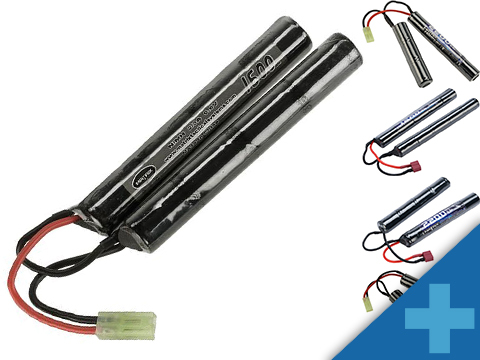 Battery and Charger – Required to power your AEG; use a high quality battery and charger for best results. 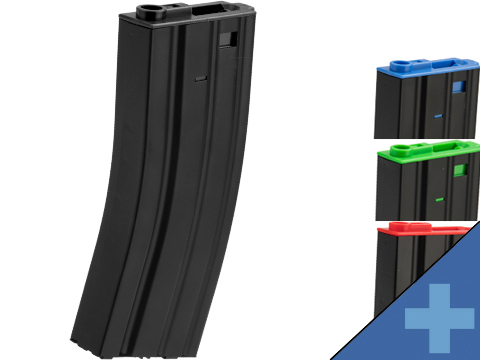 Spare Magazines – Stay in the fight longer by bringing more ammo with you. BBs – High quality precision 6mm BBs recommended; Use 0.20g – 0.25g BBs for best results. 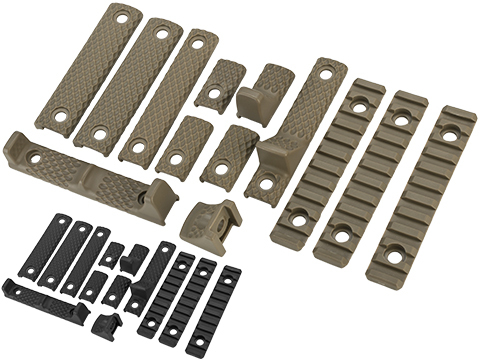 Silicone Oil – Basic cleaning and lubrication maintenance help keep your Airsoft AEG in top working order. 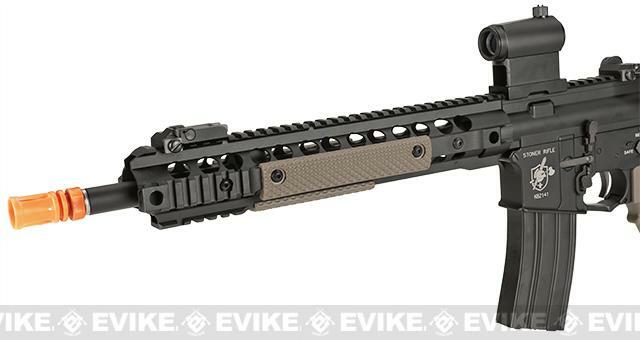 Bolt Airsoft excels in bringing realism to the Electric Airsoft rifle market through their patent pending Bolt Recoil Shock System (B.R.S.S. for short.) 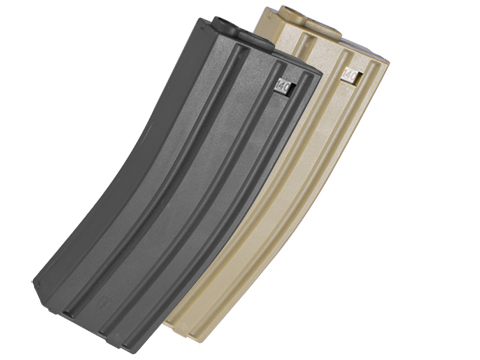 Their goal is to combine the advantages AEGs have such as performance, consistency, and reliability with the often sought after recoil impulse from a gas blowback system. This unique feature works by transferring the kinetic energy from the piston cycling to a weight system in the stock to generate the simulated recoil. 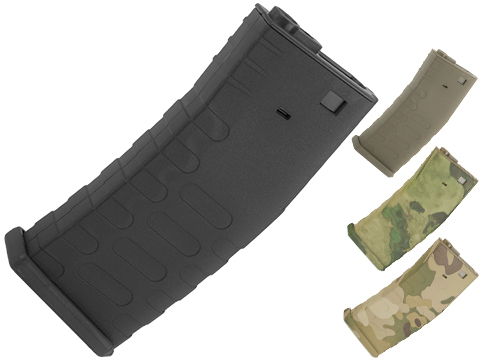 Paired with high quality externals, Bolt Airsoft offers a line of excellent ready-to-play guns that also make for great starting platforms for project guns and upgrades. 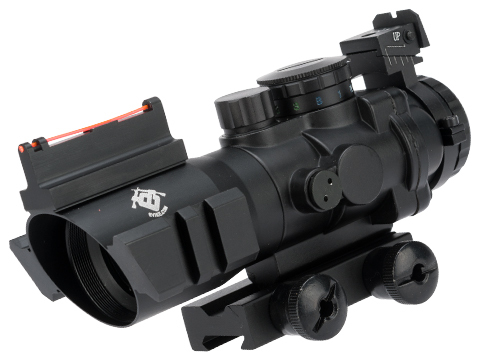 "I�ve had this gun for about a few months now and absolutely love it. Currently I�m doing some upgrades to make it that much better such as a new tightbore barrell cnc hop up new bucking spring all the good stuff. 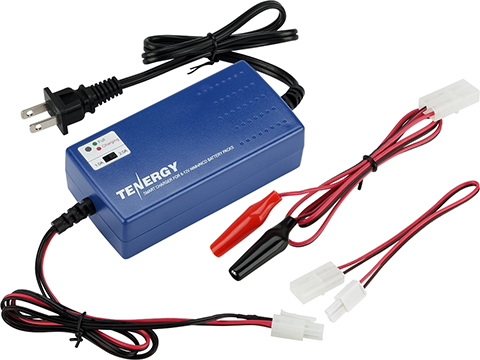 Only 1 thing the battery is kinda tight to fit a 9.6v butterfly would defiantly recommend a 7.4v lipo only because of the space and wire could get cut. But overall great product! 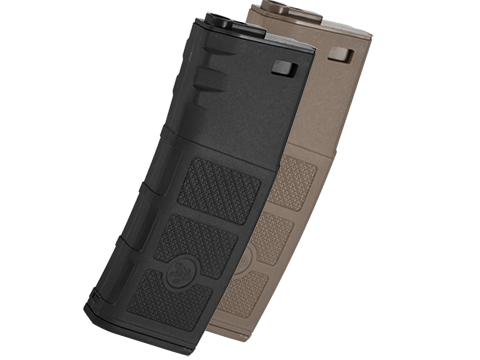 There are a couple of items that could be better, battery life is only a few hundred rounds so carry a spare if you are going war gaming with this, better make it two spares. Also the battery is a tight fit, getting all the wires tucked away can be a bit of a challenge, doable but not easy. The trigger on mine is a bit touchy in the semi position and locks up if you are not precise in your follow through, seems fine in auto. 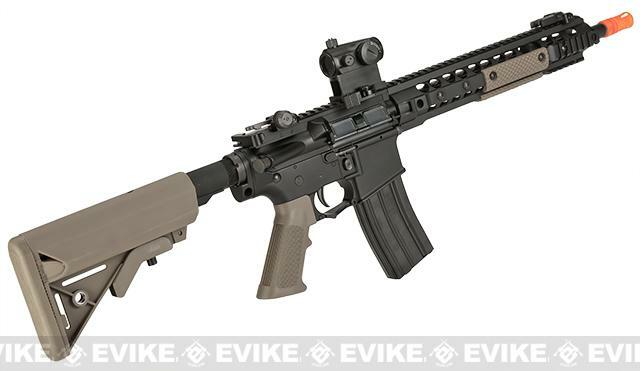 All in all though I am quite happy, it recoils harder than a .22 version of an AR and I feel that it makes an even better trainer for this reason. 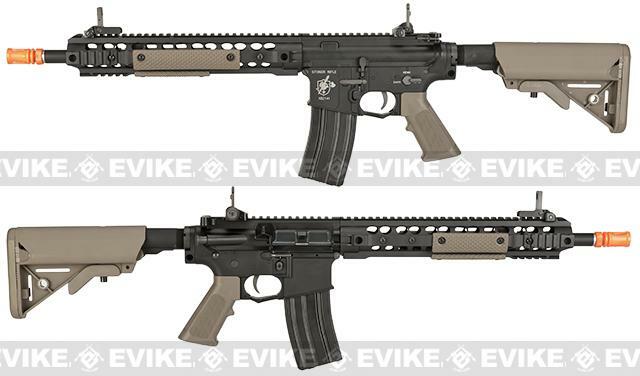 Discuss about BOLT M4 B-4 Knights Armament SR-16 URX 3.1 Full Metal Recoil EBB Airsoft AEG Rifle (Color: Tan) with your friends and fellow Evike.com shoppers!